Dual Cam Photo: Put the photographer in the picture! 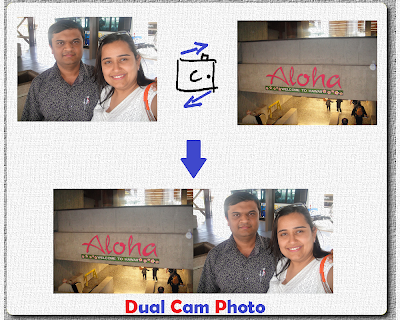 The initial version of Dual Cam Photo was published in the Windows Phone store on 2/23/2013. As far as we know, this is the first app of its kind available on any platform that allows capturing of front and rear camera images with a single click! They say "A picture is worth a thousand words". With Dual Cam Photo, we just doubled the value of pictures! "A Dual Cam Photo is worth two thousand words"
You can read this Blog by Dual Cam Photo's Developer for his thoughts on how and why Dual Cam photo can be used. 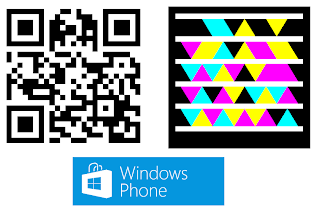 DCP works on Windows Phone 8 devices with dual cameras (front and rear/back). Please provide your feedback and rate the app at the store! Version 1.3 of Dual Cam Photo does not work with its default settings on HTC 8X phones. Please update to the latest version and reset your settings (after updating) from the settings screen to fix the issue. DCP relies on the information provided by your device to determine the list of valid settings available on it. Some devices can report settings that do not work when used in DCP. So, if you encounter unexpected issues while using DCP, try changing some settings (The Resolution and Auto Focus Range are often not very reliable). You can contact DCP support for any help in troubleshooting settings related issues on your phone.